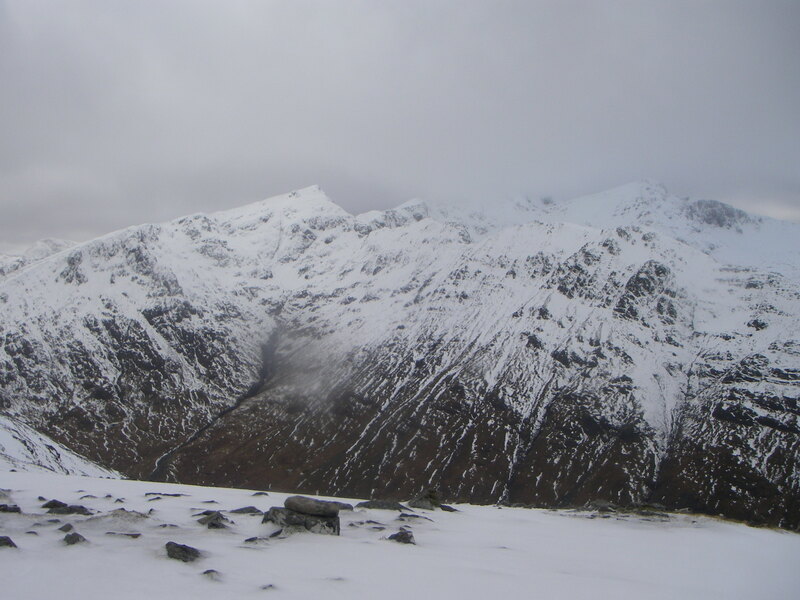 SAIS Glencoe Blog » Windy with a few snow showers. Windy with a few snow showers. It was a windy day with a few generally brief snow showers. The freezing level was around 900 metres. Above that level the snowpack is developing a bit of an icy crust as the surface freezes. Below that level it is generally pretty soft and damp. Looking colder over the next couple of days. 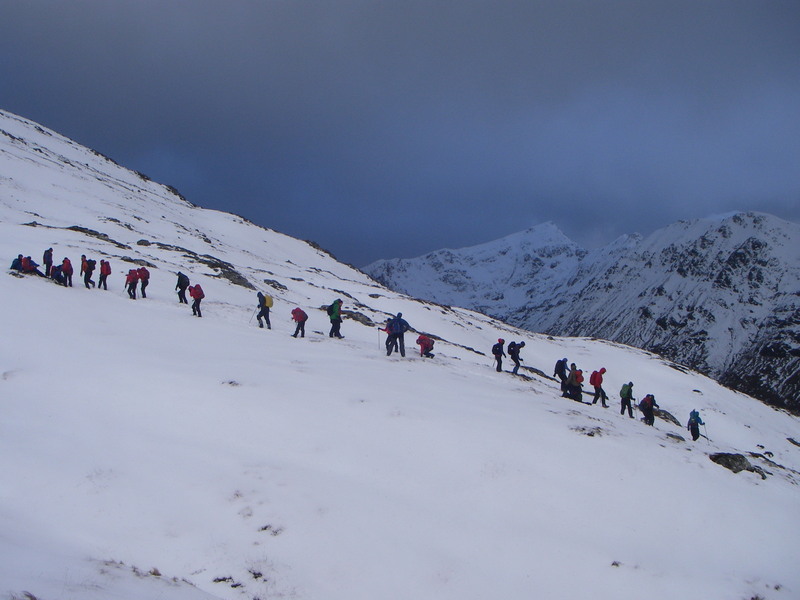 The wee Buachaille is a popular hill. However, today it was about as busy as I have ever seen it. There were a number of what looked like student groups out and about. They looked like they were enjoying themselves. 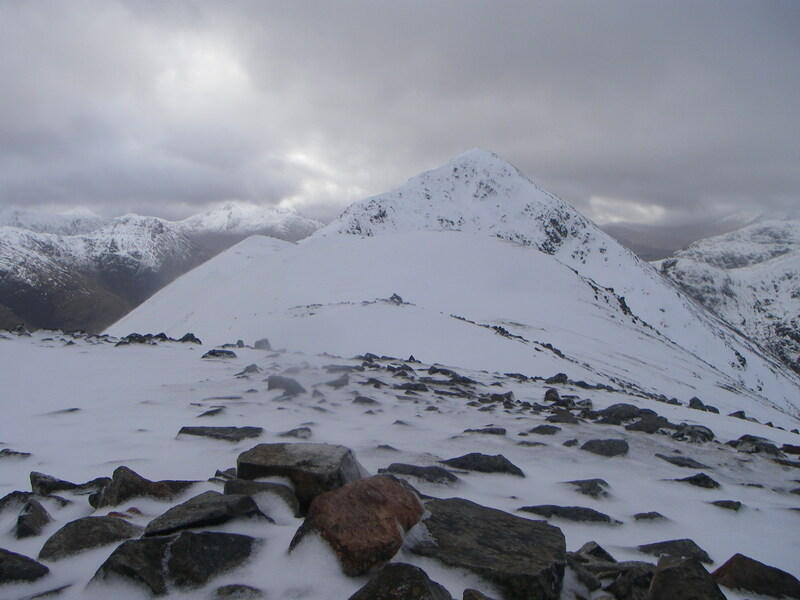 Stob Dubh from point 902. What this photo does not show is how windy it was up there at the time. I was knocked off my feet a few times while walking up the final ridge to this point. Looking over to Stob Coire Sgreamhach, Biden nam Bian and Stob Coire nan Lochan.